Apple has been always trying to come up with great feature, clean design and more interactive design. So also in iOS11 there are many great features launched by Apple. But there still exists a design or issue when user switches between apps also known as multitasking. The problem is when you are working in one app, then switch to another to do some other work there, and then switch back to the first app, the first app then either resets itself and goes back to its starting screen which is very annoying as you might lose some data or scroll all the way to find the same thing in apps. 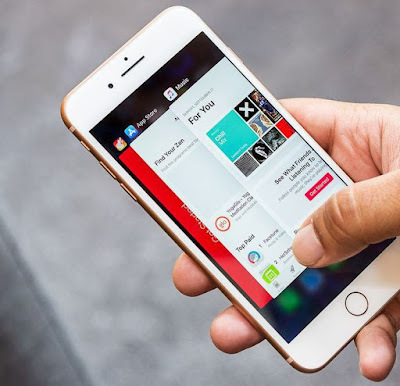 Like if you are watching a YouTube video and switches to some other app, and once you reopen YouTube app you will have to search and play the video again. The issue is very frequent with instagram app. Turning off Background App Refresh has no effect since this is not about what apps do in the background but rather what they do when they’re brought back to the foreground in iPhone. What is more surprising that many iPhone X/8/7/6s are facing app refresh issue with latest iOS11 as well. Surely this is not reported by all iPhone users. The app refresh and reload is done by iOS operating system for effective RAM management.